Draft: 2013, Colorado Rockies, 2nd rd. Ryan Patrick McMahon … resides in Scottsdale, Ariz., during the offseason ... He is the oldest sibling … has a younger sister, Meghan (22), and brother, TJ (19) ... Both of his grandfathers served in the military, one in the Army and one in the Navy ... In his free time, he likes to golf, bowl and bike … his favorite food is steak ... Attended Mater Dei High School in Santa Ana, Calif. … was the Trinity League Most Valuable Player as a senior in 2013 ... Committed to attend University of Southern California before being drafted in 2013. Made his first career Opening Day roster and appeared in 91 games across three stints with the Rockies ... Made 21 starts at first base, eight at second base and eight at third base … batted .238 (31-for-13) with seven doubles, one triple, two home runs and nine RBI as a starter ... Batted .216 (8-for-37) with two home runs as a pinch hitter … pinch-hit three-run home run June 20 vs. New York-NL and a pinch-hit solo home run Sept. 4 vs. San Francisco ... Became the first player in franchise history to hit a game-winning home run in the seventh inning or later in consecutive games, Aug 10-11 vs. Los Angeles-NL … two-out, three-run walk-off home run Aug. 11 and a two-run home run in the seventh inning on Aug. 10 ... Hit his first Major League home run on June 14 at Philadelphia in the eighth inning off Hector Neris ... Appeared in 55 games with Albuquerque, batting .290 (65-for-224) with 15 doubles, three triples, 11 home runs and 48 RBI ... Went 0-for-3 with one walk in four postseason plate appearances. Made his Major League debut for the Rockies on Aug. 12 at Miami...Appeared in 17 games across two stints with the Rockies after making his Major League debut as a pinch-hitter on Aug. 12 at Miami...Recorded his first Major League hit on Aug. 13 at Miami, a single in the eighth inning off Junichi Tazawa...Optioned to Triple-A on Aug. 18 before being recalled for the remainder of the season on Sept. 1...Made three starts, all at first base … also appeared in four games at second base and three games at third...Appeared in the 2017 Futures Game in Miami and went 0-for-1 with a walk...Was named MiLB.com Fan's Choice for Best Offensive Player in the Minor Leagues … across 119 games between Double-A Hartford and Triple-A Albuquerque, combined to bat .355 (167-for-470) with 39 doubles, four triples, 20 home runs and 88 RBI...Was named the Double-A Eastern League Player of the Month for April … overall, batted .326 (59-for-181) with 16 doubles, two triples and six home runs in 49 games with Hartford...Was promoted to Albuquerque on June 1 and won the Pacific Coast League Player of the Month for June in his first month in the league … hit .429 during the month and led the PCL in hits (50), extra-base hits (21), total bases (85) and doubles (14). Spent the season with Double-A Hartford, where he recorded a club-leading 75 RBI and a career-high 55 walks...Batted .242 (113-for-466) with 49 runs, 27 doubles, five triples, 12 home runs, 75 RBI and a .399 slugging percentage … played first base for the first time in his career...Played in a career-high 133 games, tied for fourth in the Eastern League. Spent the year with High-A Modesto, where he batted .300 (149-for-496) with 85 runs, 43 doubles, six triples, 18 home runs, 75 RBI, 49 walks and 153 strikeouts...His 43 doubles led the California League … the only player in the league to hit over 40 doubles on the season...His 149 hits and 85 runs ranked fifth in the California League, and the .300 batting average ranked seventh...Mid-Season and Post-Season All-Star … was also named a High-A All-Star and a Minor League All-Star by Baseball America. Spent the entire season as the starting third baseman for Low-A Asheville...His 102 RBI were also tied for most in the South Atlantic League, and the 93 runs were tied for second-most. Recorded 46 doubles, which were the second-most on the Tourists and the second-most in the league...Named South Atlantic League Player of the Week for the week ending on April 20...Rated the fifth-best Rockies prospect and 95th overall prospect by Baseball America. Spent his first professional season with Rookie Level Grand Junction and batted .321 (70-for218) in 59 games...Made 54 starts at third base for Grand Junction...Named the Pioneer League Player of the Week for the week ending Sept. 2...Named a Topps Short-Season/Rookie All-Star and MiLB.com Organization All-Star. April 18, 2019 Colorado Rockies activated 2B Ryan McMahon from the 10-day injured list. April 6, 2019 Colorado Rockies placed 2B Ryan McMahon on the 10-day injured list. Left elbow sprain. July 29, 2018 Colorado Rockies recalled 2B Ryan McMahon from Albuquerque Isotopes. June 21, 2018 Colorado Rockies optioned 1B Ryan McMahon to Albuquerque Isotopes. June 3, 2018 1B Ryan McMahon assigned to Albuquerque Isotopes. May 26, 2018 Colorado Rockies recalled Ryan McMahon from Albuquerque Isotopes. May 1, 2018 Colorado Rockies optioned 1B Ryan McMahon to Albuquerque Isotopes. October 5, 2017 Ryan McMahon roster status changed by Colorado Rockies. October 4, 2017 Colorado Rockies reassigned 1B Ryan McMahon to the minor leagues. September 1, 2017 Colorado Rockies recalled 1B Ryan McMahon from Albuquerque Isotopes. August 18, 2017 Colorado Rockies optioned 1B Ryan McMahon to Albuquerque Isotopes. August 11, 2017 Colorado Rockies selected the contract of 3B Ryan McMahon from Albuquerque Isotopes. June 1, 2017 3B Ryan McMahon assigned to Albuquerque Isotopes from Hartford Yard Goats. February 2, 2017 Colorado Rockies invited non-roster 3B Ryan McMahon to spring training. April 6, 2016 3B Ryan McMahon assigned to Hartford Yard Goats from Modesto Nuts. February 11, 2016 Colorado Rockies invited non-roster 3B Ryan McMahon to spring training. April 4, 2015 3B Ryan McMahon assigned to Modesto Nuts from Asheville Tourists. March 10, 2015 3B Ryan McMahon assigned to Colorado Rockies. March 31, 2014 3B Ryan McMahon assigned to Asheville Tourists from Grand Junction Rockies. June 19, 2013 3B Ryan McMahon assigned to Grand Junction Rockies. 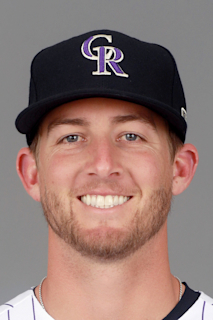 June 14, 2013 Colorado Rockies signed 3B Ryan McMahon.